W. W. Norton & Company, 9780393064803, 321pp. Energized by the initial optimism surrounding Obama's presidency and, conversely, the fierce partisanship in Congress, Christopher Phillips has set out to engage Americans in discussions surrounding our must fundamental rights and freedoms, with some help from Thomas Jefferson. 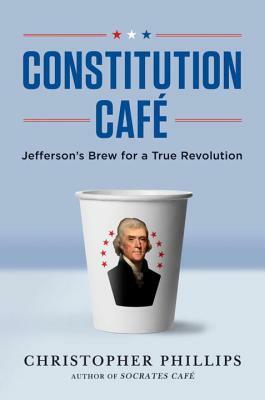 A radical in his own day, Jefferson believed that the Constitution should be revised periodically to keep up with the changing times. Instead, it has become a sacred, immutable text-and in Phillips's opinion, it's in need of some shaking up. From a high school in West Virginia to People's Park in Berkeley, California; from Burning Man to the Mall of America, Phillips gathered together Americans from all walks of life, moderating dialogues inspired by Jefferson's own populist political philosophy, formulating new Constitutional articles. With contagious passion and conviction, Philips has taken up Jefferson's cause for a truly participatory democracy at a time when our country needs it most.